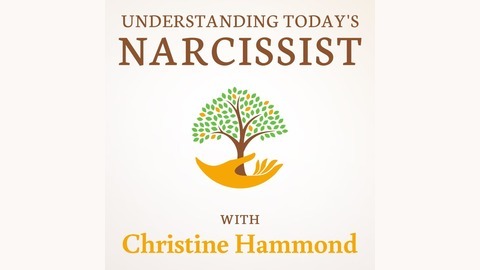 It was during Tim’s divorce from his wife of 18 years that he realized she had Narcissistic Personality Disorder. She had been a vindictive woman towards others in the past, cutting people off permanently when they accidentally or intentionally embarrassed her. But for some reason, he thought his 18-year marriage commitment would inoculate him from similar treatment. It did not. Even though she agreed to get a divorce, Tim’s filings of the papers seemed to set her off to an entirely different level. In the past, she said that he was a good father. Now to everyone who would listen: their friends, extended family, and the court, she painted a different picture. She accused him of abusive behavior, scaring the children, being fearful of her life, and hiding funds from the family (even though she managed the finances). She even took moments when she exploded and turned it around saying that he was the one who lost it. Tim was shocked and immediately went on the defensive pulling out cards, text messages, and pictures desperately trying to show the fallacy of her claims. Confused by her response to the divorce, he sought out the same marriage therapist they had seen a few years ago. It was then he received confirmation of something he had long suspected, she was narcissistic. But now what. Tim didn’t want to go around telling everyone that she had narcissistic traits because he would look just like her. He also didn’t want to tell his children anything negative about their mother for fear that they would say something to friends, family, or worse her. So, Tim needed a different strategy. Here is what he did. Pick out keywords. Tim took the definition of narcissism and selected keywords that were clearly identifiable in his soon-to-be-ex. Here is the list: acts superior to others, behaves arrogantly, is unforgiving, doesn’t apologize or admit error, is selfish, exaggerates accomplishments, fantasizes about her looks, needs constant attention, obsessed with looking younger, believes others want her life, shows no empathy, is opportunistic even when it hurts others, and demands others do as she requests. He chose six traits that could be easily been seen: unapologetic, vane, no empathy, superior attitude, selfish, and demanding. By using some of the traits and not the word narcissism, it opens up the dialogue without alienating or attacking. Find other examples. Instead of pointing out the six traits in his soon-to-be-ex to others, Tim choose a few popular people to highlight the same characteristics. For his friends, he selected a local politician who displayed the traits. For his kids, he selected a sports figure and an entertainer that they already knew. For his family, he chose another relative that was already distant from the group. 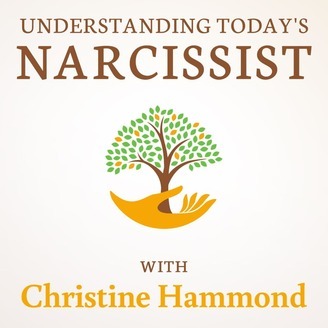 By pointing out the behaviors, attitudes, and actions that look narcissistic without using the word, Tim was able to begin a dialogue about dysfunctional conduct. He was also able to talk about the behavior without pointing a finger at his soon-to-be-ex. Learn from others. Once his friends, kids, and family were all in agreement that the dysfunctional behavior was wrong, he used this as a learning opportunity. For his kids, he talked about how not to be selfish and that it is was unhealthy not to admit to wrongdoing. For his friends and family, he asked them how they handled people like that and what they believed he could do differently. Never once did he mention his soon-to-be-ex and anytime the conversation turned towards her, he redirected it. This insulated him and it also caused his friends, family, and kids to draw their own conclusions without feeling like they were being forced into the same decision. Discuss boundaries and expectations. The next set of conversations was about resetting expectations and establishing healthy boundaries. Tim, having finally realized that he could not change his soon-to-be-ex, began a dialogue about how some people don’t want to change and it is wrong to force it on them. But if their behavior continues to be unhealthy, it is normal to set personal boundaries to keep from getting hurt. Again, he used the figures as his examples and came up with strategies for the establishment of healthy boundaries. By getting buy-in with other examples, his boundary setting with his soon-to-be-ex appeared normal. Manage the bully. Once the groundwork was established with his kids, family, and friends, Tim then started discussing how to handle a bully. Again, he did not use the word: narcissist. Instead of becoming defensive when she attacked him as he had in the past, Tim talked about standing up to a bully without becoming one. His kids liked the idea of using sarcasm when being attacked, while his friends and family preferred a more direct approach, “Sorry you think or feel that way.” Tim encouraged them to try out the new approach on their own bullies and report back what worked and what didn’t. This open indirect approach allowed for plenty of conversation without condemnation, humiliation, or embarrassment. After several series of conversations, it worked. His family, friends, and even kids began to see the narcissism without Tim having to say a word about it. This changed the dialogue and minimized the impact of the narcissism.